Engaging with providers today – even for things like making an appointment – can be cumbersome, and as a result, patients are only likely to engage when they absolutely must. With an industry-wide shift to value-based care models, where both healthcare organizations and patients benefit from more frequent visits to ultimately improve health outcomes, it becomes even more important to make it easy for patients to return for continued care. Therefore, in an effort to keep patients returning for regular, preventative care, more healthcare organizations are identifying new ways to proactively engage patients and serve up an experience that’s most convenient for them. 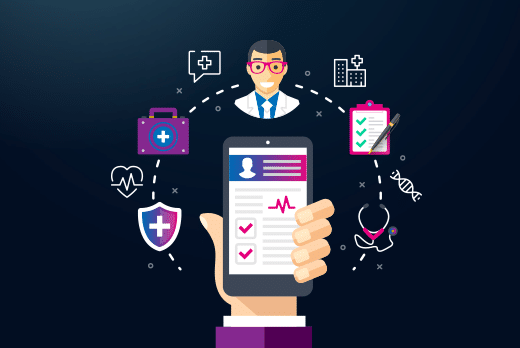 Not only are healthcare organizations looking to implement scheduling systems that adapt to patients’ daily lives, but they also want to remove any potential obstacles in the patient’s booking process by making it as seamless as possible. For instance, Jerome Garrett — Director of Access for Ascension Medical Group in the Wisconsin market — explained that the organization’s online scheduling strategy is designed to meet patients where they are. It’s also important for healthcare organizations to be engaging with patients proactively in order to get them to come in for certain types of care, rather than wait for the patient to decide when and where they’d like to receive a particular service – and potentially go elsewhere. Looking at all the information available about a patient’s health is another way organizations can plan ahead and get patients scheduled for visits down the road – which leads to better preventative care in the long term. The Director of Patient Access within a major Illinois-based health system explained that the schedulers at one of its hospitals will use pieces of information they receive, such as orders sent to them from physicians, to proactively encourage patients to schedule other appointments. By planning ahead and getting patients to engage proactively and consistently with their care, organizations stand to see more success in their transition to value-based care models. The goals of a value-based care model can best be met with proactive engagement when the group is managing chronic care before it becomes an acute care situation. As the experiences of these healthcare organizations have shown, a key strategy for catering to consumerized patient expectations is creating engagements that are proactive, convenient and, essentially, make it as easy as possible for the patient to return for continued care.